Digitize your face-to-face sales & advice with our apps. Modern shopping is fueled by the internet, yet many sales associates are still disconnected. Count3r assists employees with vital product, sales, and store information on a tablet. Let your sales force become trusted shopping guides again, while selling up to 20% more. We enable staff to sell more confidently to every customer, on every department, and more profitably. How to turn sales staff into your biggest asset again? Count3r blends the best of online shopping and physical stores into a single customer journey. The digitally deprived benefit from a seamless online experience in their local store, while minimizing the choice overload from the web. Omnichannel enthusiasts receive personalized and digital guidance from their favorite member of staff. 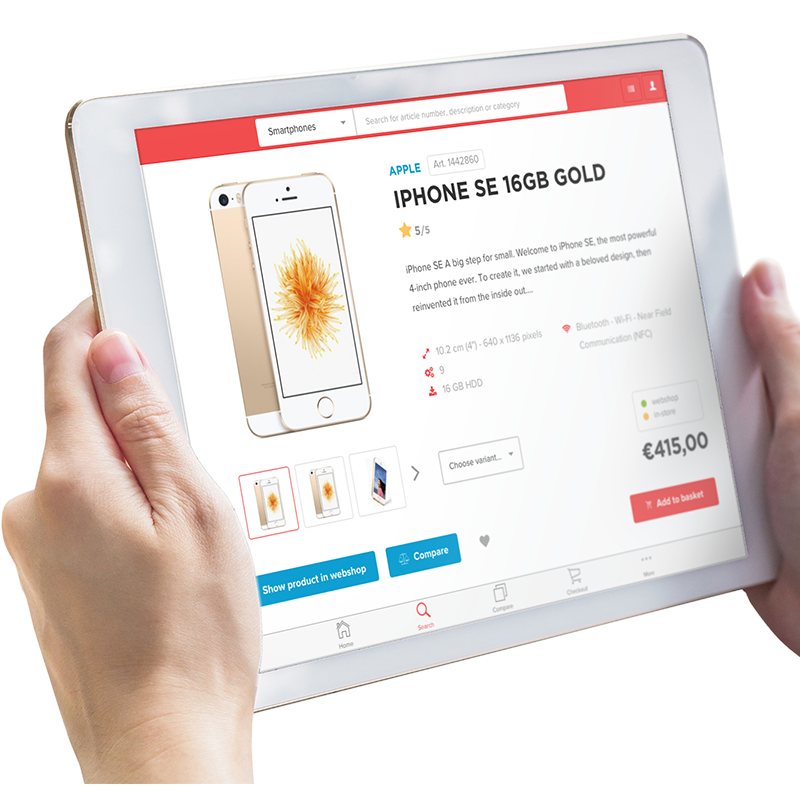 How to deliver a seamless omnichannel experience? Unlike online shops, many physical stores know little about their customers. Count3r tablets are where the action is: in the middle of every sales conversation. We track interactions between staff and customers, enabling you to fine-tune your store performance and even predict what is going to be popular. We finally help to turn the offline store into a data-driven powerhouse! How to let data drive your physical sales performance? We do not interfere with your current IT infrastructure, a simple API connection or data feed will do. But we can also help you get ready for the digital revolution in retail. Staff is ready to hit the ground running after only two hours of training, ready to reshape retail. Trust us, we have done it before. We love to tell you about Count3r or show you how it works. But first we want to listen and learn about your situation. That helps us to help you transform your physical sales and make it truly digital. Please contact us directly or leave your details in the form below. Thanks, we will get back to you!